The transport container is made of a very strong polypropelene and is absolutely liquid proof. This container contains shock absorbers and 4 absorbing tubeholders. 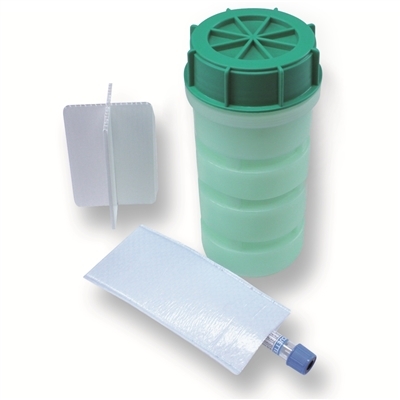 The container is for four tubes of 10ml or four swabs (800ml container).